We’re very happy to report that our two shortlisted programmes both won awards at last night’s Jerusalem Awards held at BAFTA in London. The programmes were very different – one a personal reflection for Fathers’ Day; the other, a satirical television sketch for Christmas – but the judges were fulsome in their praise for both. The Fathers’ Day piece was ‘very moving’ and involving; the sketch was ‘clever and creative, with a smart Christian message’. 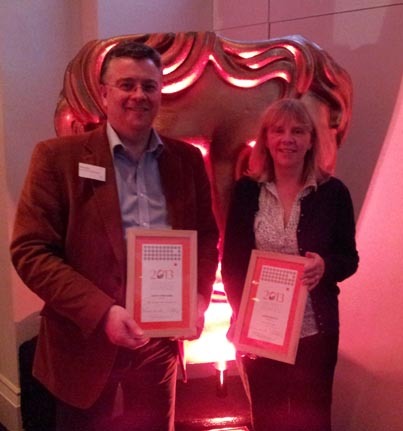 GRF Team members, Brian Muir and Gillian McKinnon, were at the award ceremony to accept the awards on behalf of GRF.